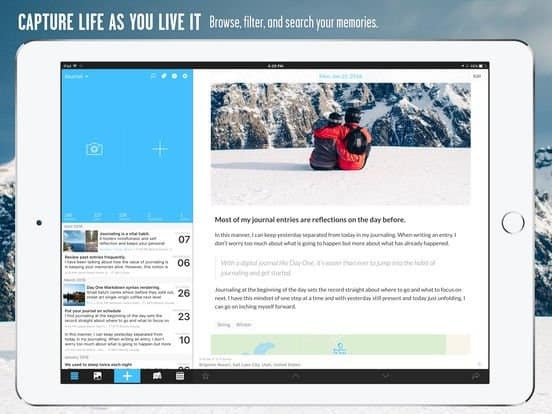 This week’s free app is the journaling app Day One Journal. Theoretically, it was $5.00, but you can get it free from iTunes until Thursday, July 6th. 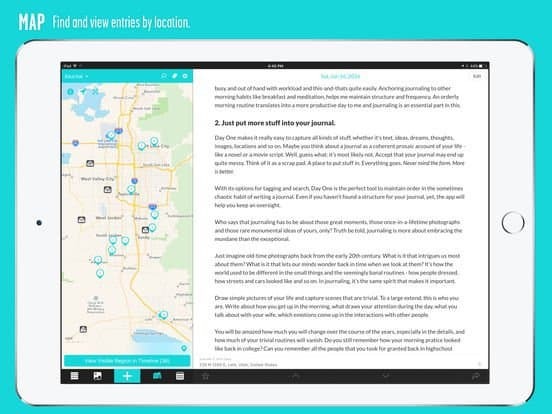 This week’s free app is the journaling app Day One Journal. Theoretically, it was $5.00, but you can get it free from iTunes until Thursday, July 6th. Note we say theoretically because the business model changed the day before the app went free. Day One is an advanced journaling app. The goal is to capture stuff during your day and store it securely on your phone. Some people like to publicly broadcast their thoughts and pictures on social media. Other people like to track their day, but keep it to themselves. Day One has a list of suggested uses in your business and personal life for the app. 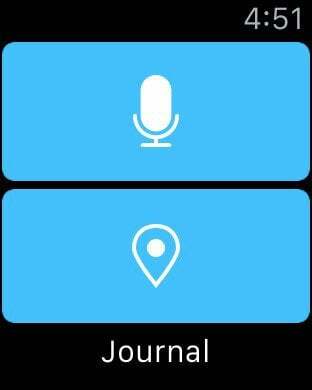 We’ve covered other journaling apps like Path and OhLife or even just using Google. Day One lets you take notes about your day and attach other data to the note: location, time, weather and activity. It even attaches your step count. The “theoretical” part of this price was, they launched a subscription-based model along with the App of the Week promotion. Many of the features of the paid Premium version are an in-app subscription for $3.99 month /$34.99 yearly if you hadn’t set up an account before the subscription launch. With the Premium version, you get unlimited journals and photo storage along with syncing information to other devices. After next week, the app may still be free, but won’t have the Premium features. If you’ve wanted to journal and need a little incentive, Day One might be a good place to start. It’s a well-respected app that reminds you to journal and is prettier than the iOS Notes app. I’ve dabbled in journaling and this app made me pick it up again. The Apple Watch app makes it hard not to put in an entry. You get a reminder, tap a button and dictate your note. Can’t get much easier than that! The app takes up about 167 MB, but obviously the more you store in it, the more room the journal takes up. If you’ve wanted to get in on the journaling craze, this app might be the incentive. The premium is not free. Still have to pay for it.